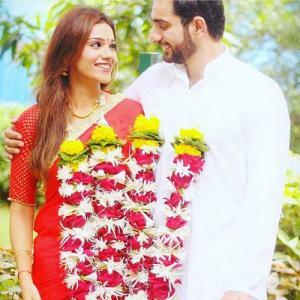 Siddhant Karnick, who got married to his ladylove Megha Gupta in 2016, are reportedly going through a rough patch in their personal life. According to a media report, the two have unfollowed each other on social media and not posted any new images with each other post December 2018. The much-in-love couple has always tried to set a good example of perfect marriage on social media. Be it mini getaways, spending quality time with friends or respecting each other's professional commitments. But, it seems things are not going smooth between them anymore. Siddhant to comment on the buzz, he refused by saying, "There's nothing as such." Also, Megha said, "I have nothing to say about this." In 2016, the couple had opted for a registered marriage.